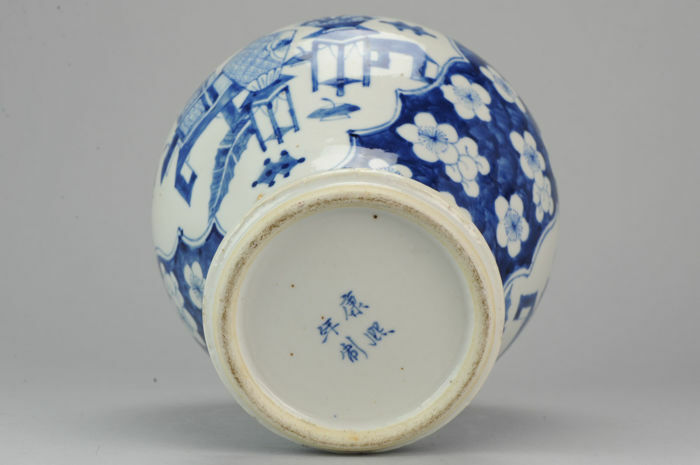 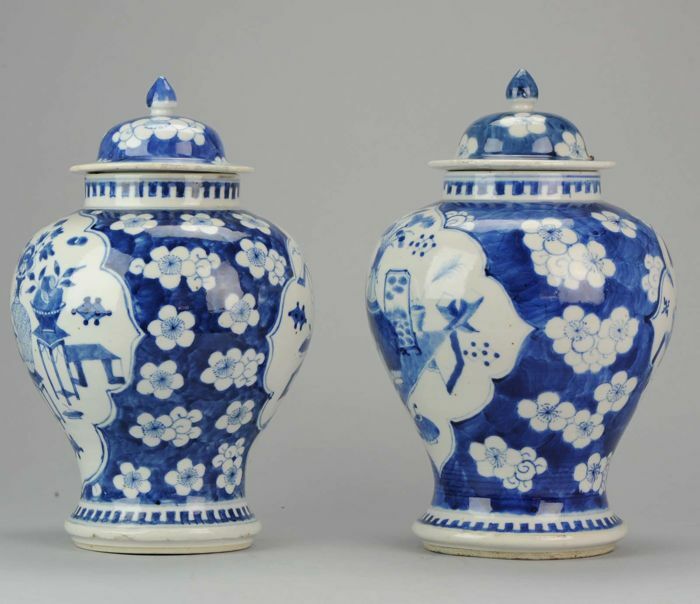 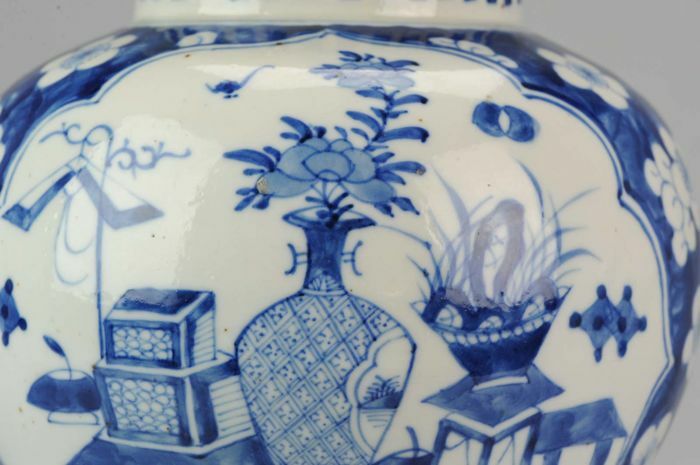 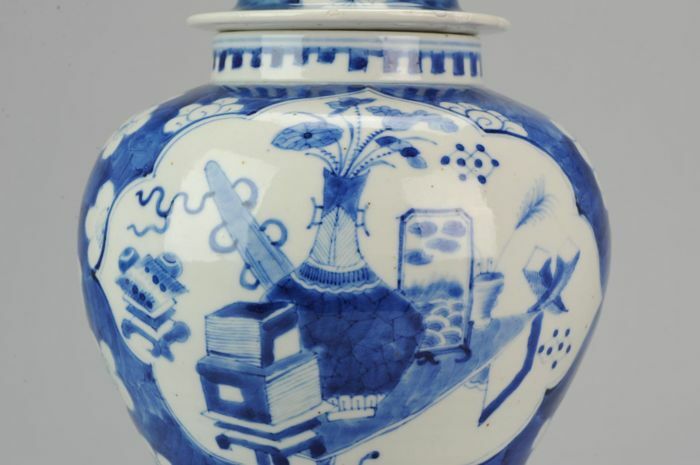 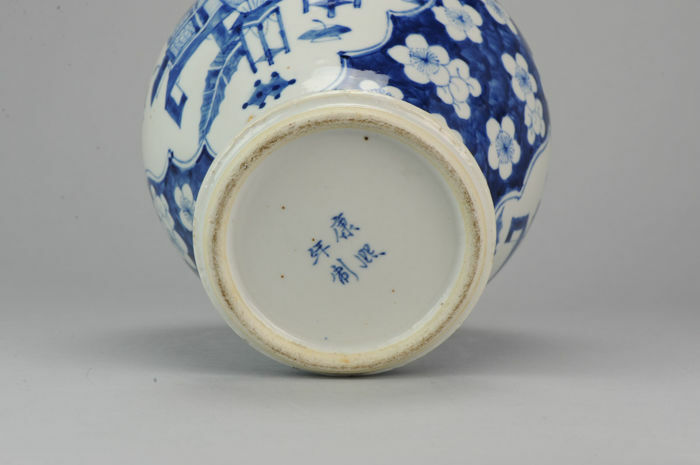 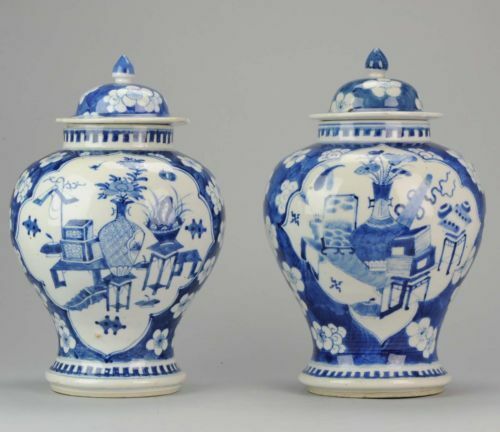 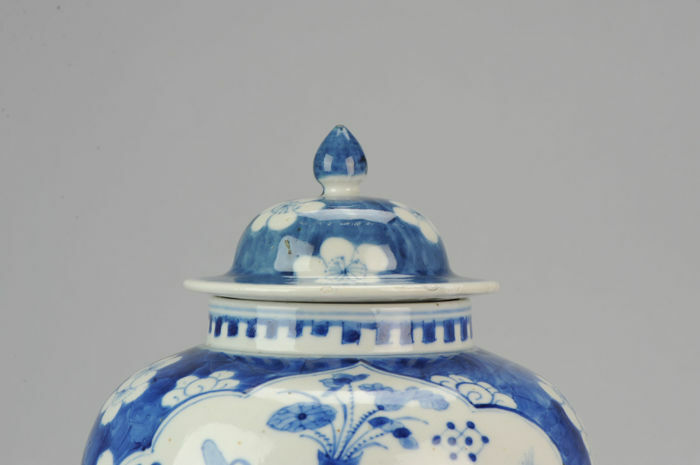 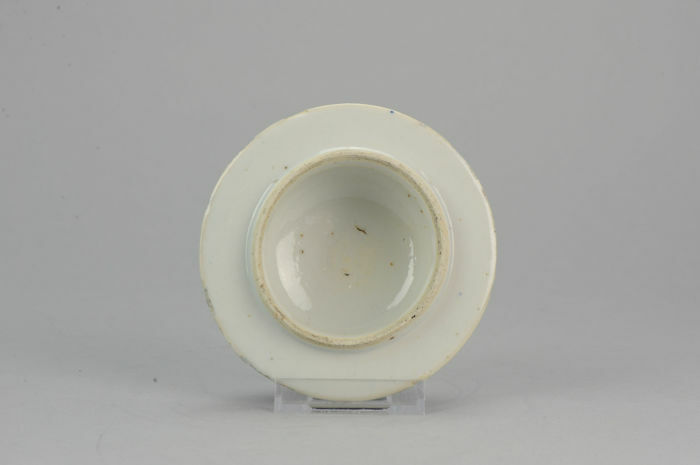 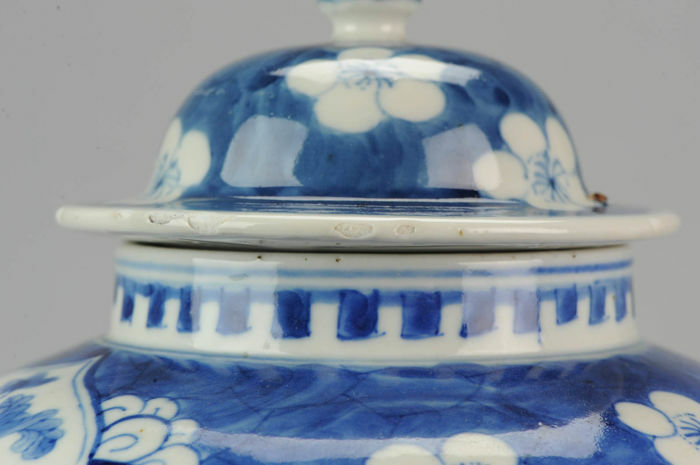 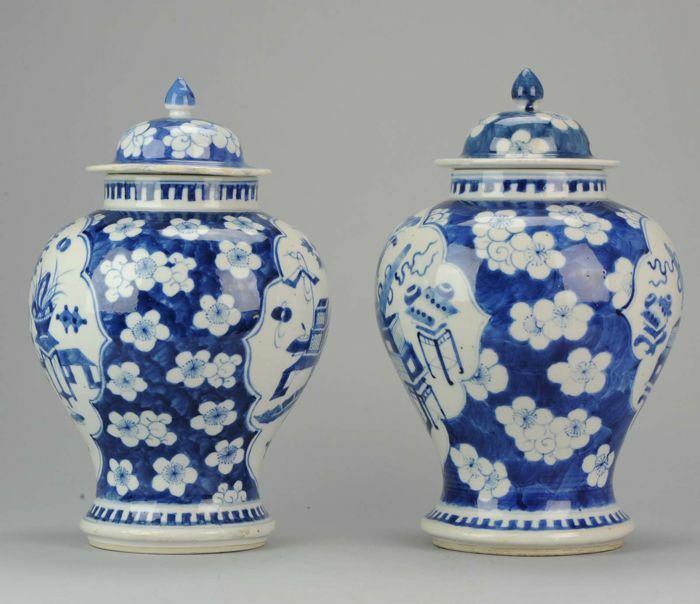 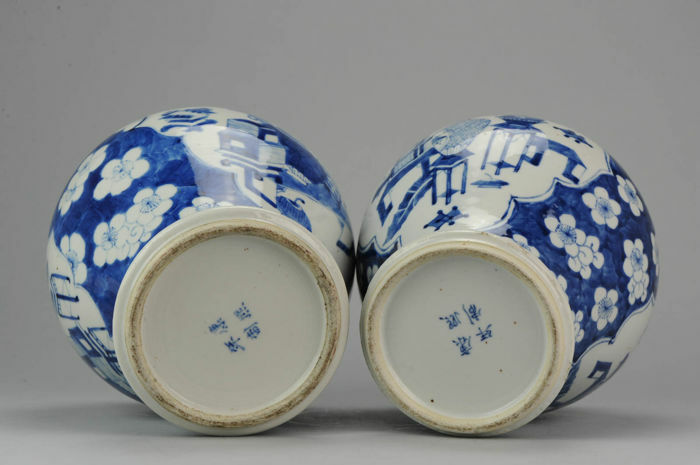 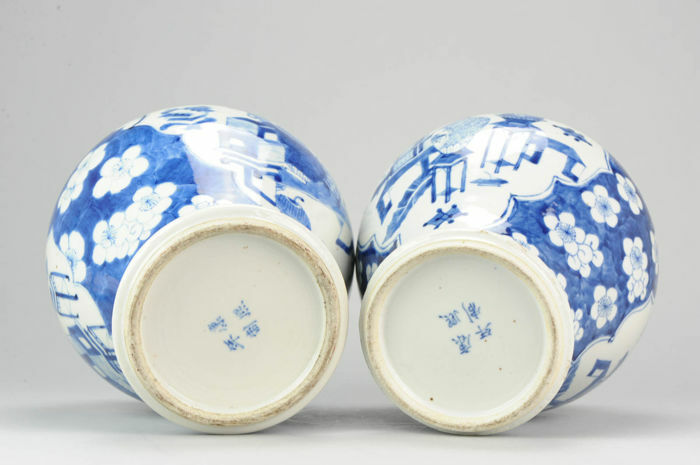 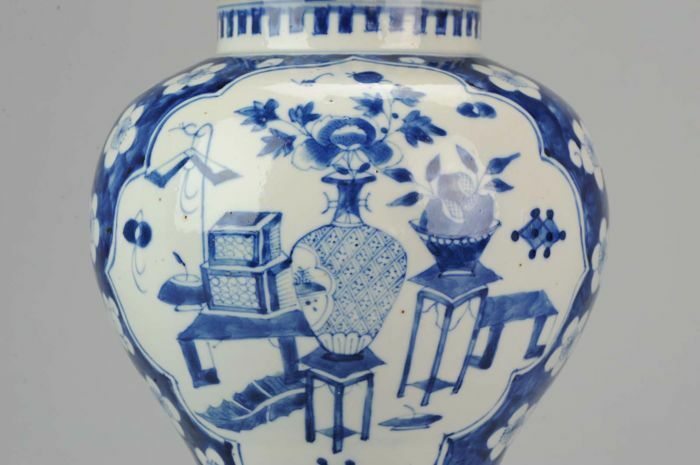 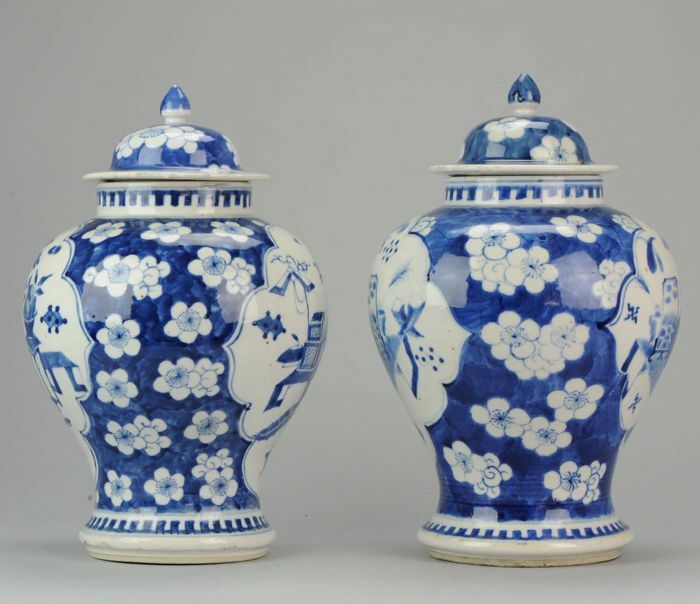 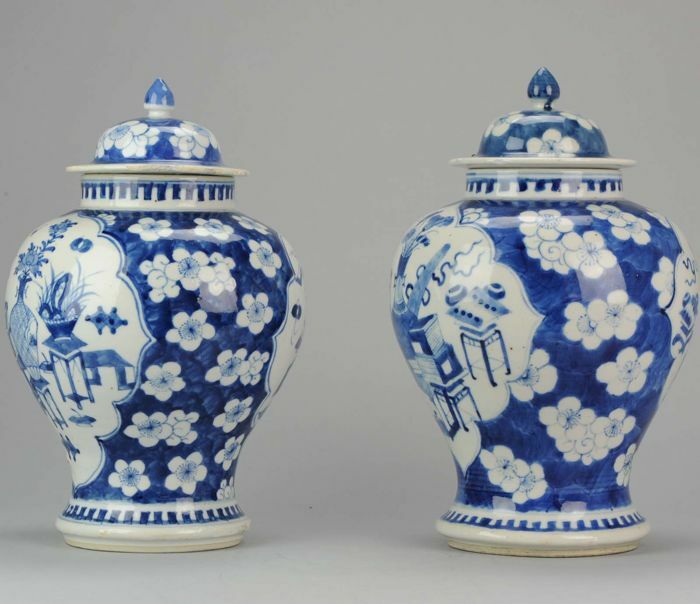 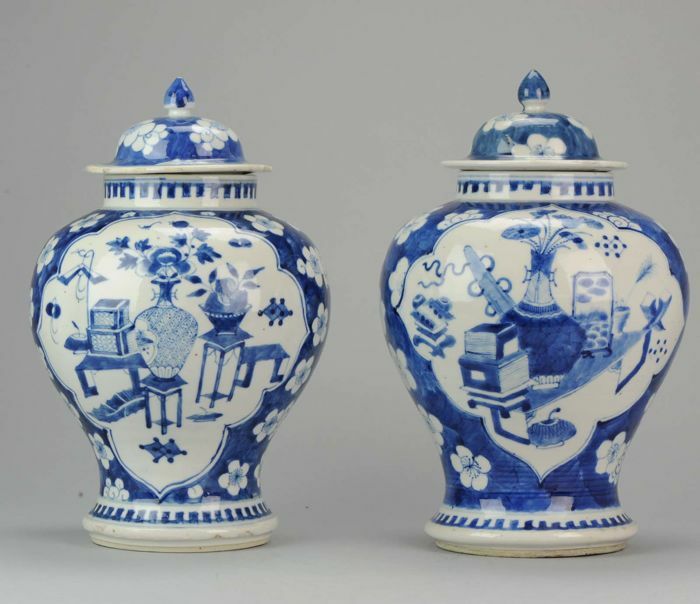 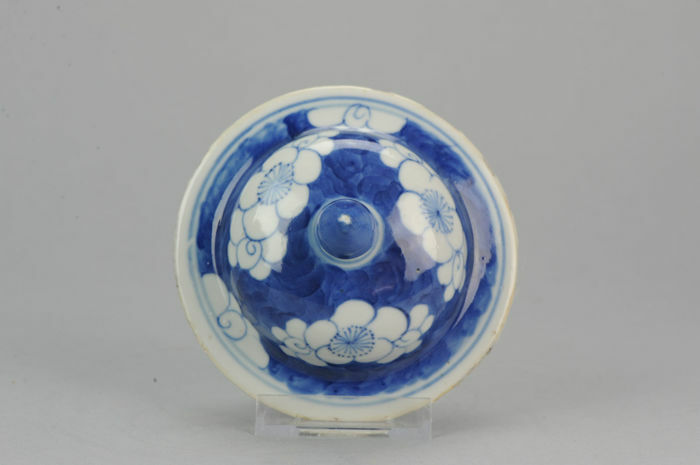 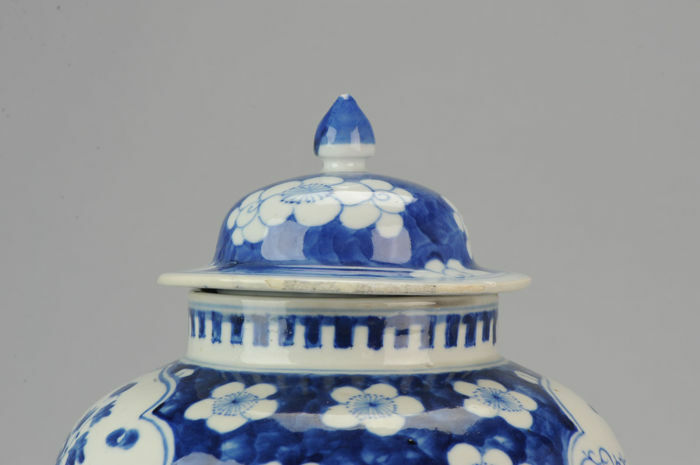 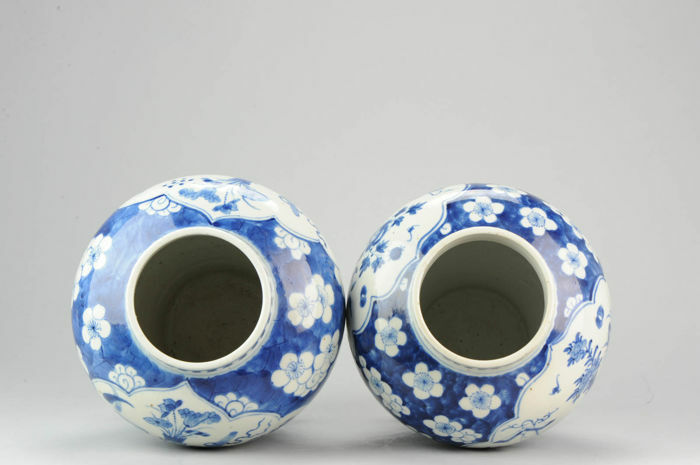 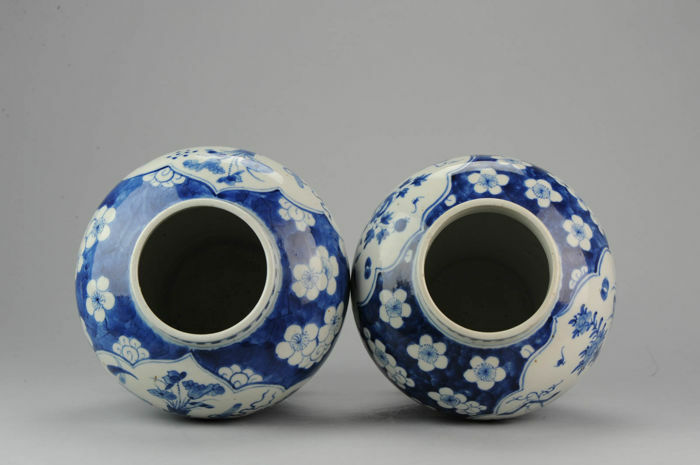 Pair of lidded porcelain vases. 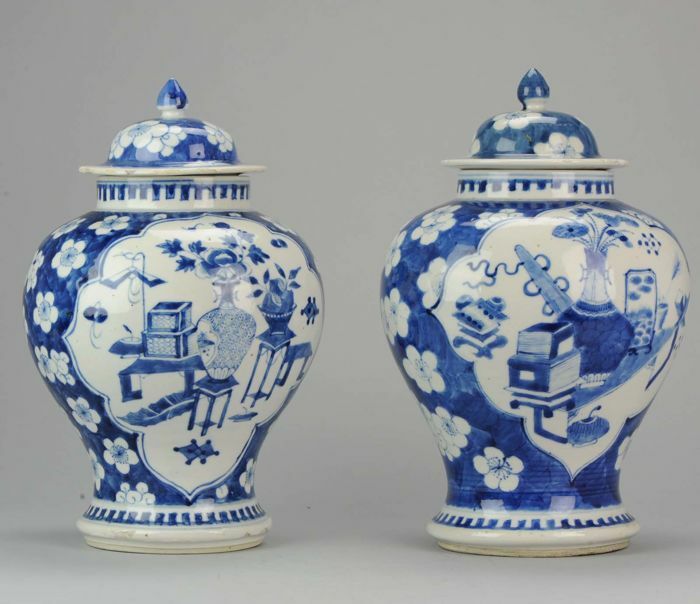 2 reserves with the 100 antiques patern on a prunus ground. 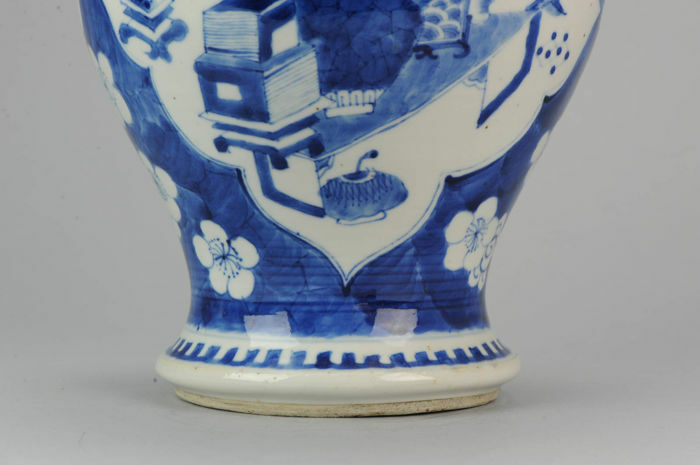 Very nice Quality and in very good condition. 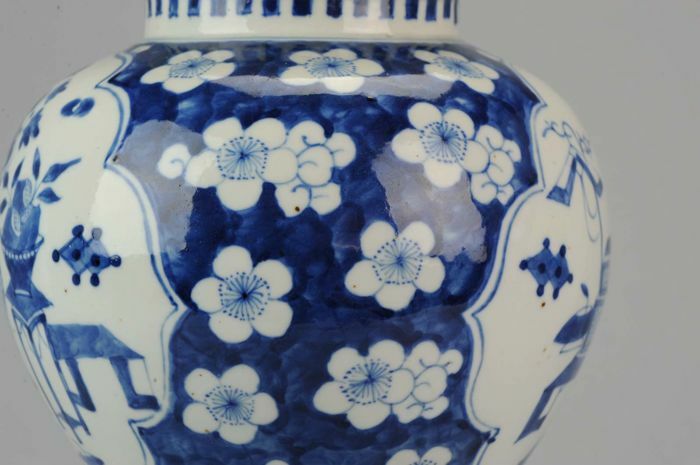 Overall Condition A (Good) 1 Vase perfect, 1 vase with frit to rim and some fritting to lower rim. 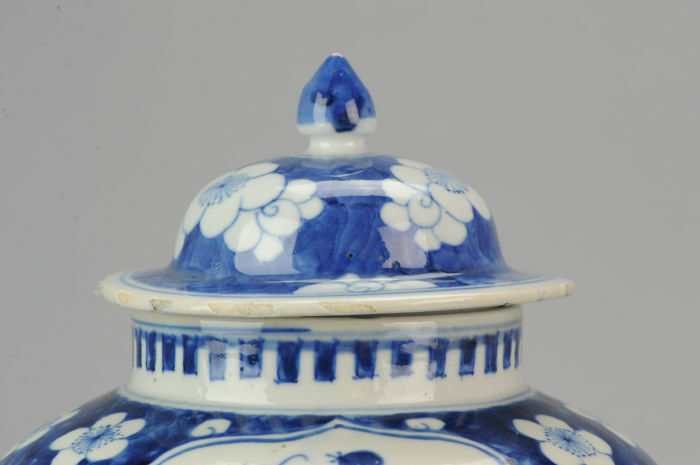 Lids have rimfritting/small chips. 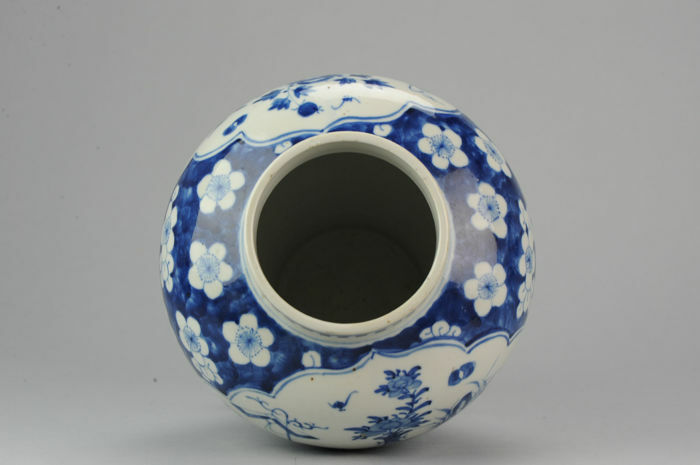 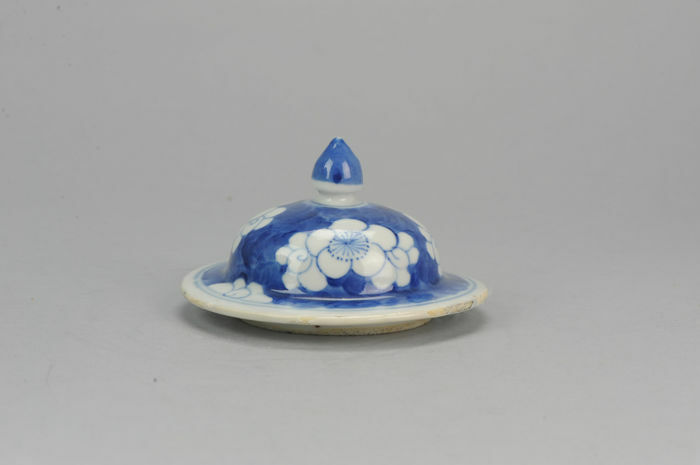 Size 310 mm high approx. 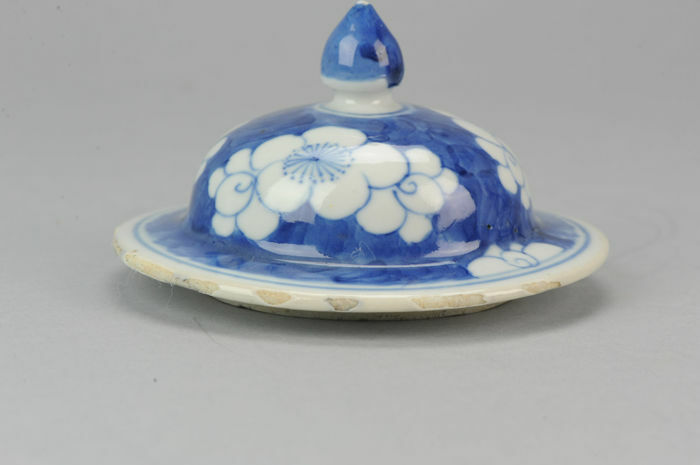 Covers seems small but have the same pattern. 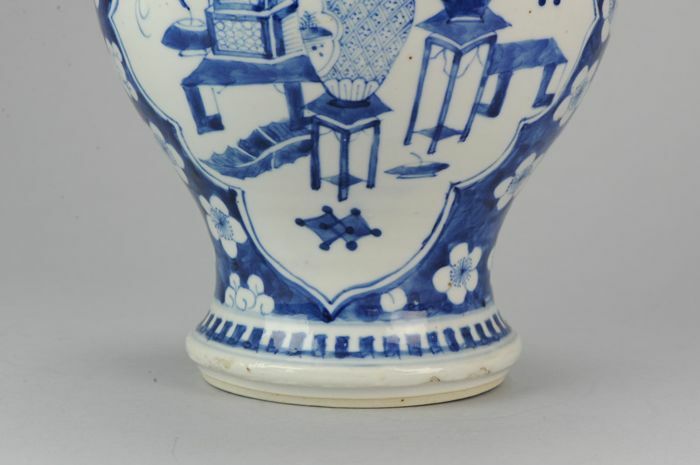 The previous owner insisted they had always been like this.